Scientists conduct the first MERS-CoV vaccine trials in camels and provide viral lineage evidence of camel-to-human transfer. WIKIMEDIA, PERETZ PARTENSKYImmunization of dromedary camels with a novel vaccine against the Middle East respiratory syndrome coronavirus (MERS-CoV) resulted in an immune response in the animals and reduced infection following a MERS challenge. The study, the first to analyze the effect of a MERS-CoV vaccine on viral load in camels, is published today (December 17) in Science. “This study is an important step forward in the research and development of countermeasures for MERS-CoV,” Kayvon Modjarrad, an infectious disease specialist at the Walter Reed Army Institute of Research in Bethesda, Maryland, who was not involved in the study, wrote in an email to The Scientist. 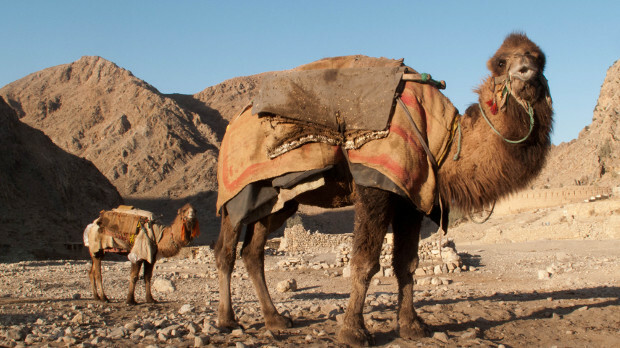 Virologist Bart Haagmans of the Erasmus Medical Center, in Rotterdam, the Netherlands, and his colleagues tested the efficacy of a MERS vaccine consisting of a modified vaccinia virus Ankara (MVA) vector in an eight-camel pilot study. The vaccine virus expresses the MERS-CoV spike protein, which is found in other MERS vaccines being tested. The researchers inoculated four dromedary camels with the vaccine and four animals with a control MVA vaccine virus, by injection (in the neck) and delivering the vaccine to the animals’ airways using an atomizer. 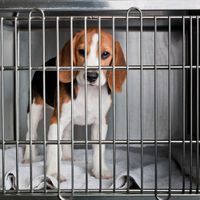 The vaccinated animals developed detectable serum neutralizing MERS-CoV antibodies against the spike protein within three weeks, the researchers reported. The scientists then challenged the camels with high doses of MERS-CoV into their nostrils. The levels of MERS-CoV in the vaccinated animals were significantly lower compared to that in the control animals. One of the four vaccinated camels excreted infectious virus particles six days after infection, yet sequencing of the spike gene of these particles showed that they coded for the same spike protein sequence, indicating that the virus had not mutated after encountering anti-S protein antibodies. “Not only do we show [the vaccine] is immunogenic and has protective efficacy, but using MVA as a vector has the advantage of inducing immunity also to a different, camelpox virus,” Haarmans said. 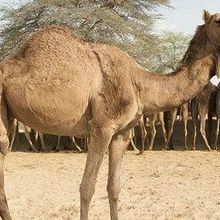 David Weiner, a professor of pathology at the University of Pennsylvania whose laboratory is working on the synthetic MERS vaccine but was not involved in the current study, noted that adult camels infected with camelpox inoculated with the MVA-based vaccine may develop resistance to the vaccine. “The simultaneous camel pox immunity may be a double-edged sword,” he said. What is not yet clear is how quickly MERS-CoV mutates, and whether one vaccine results in persistent immunity or if multiple immunizations may be required, said Trish Perl, an epidemiologist at Johns Hopkins University in Baltimore who was not involved with the work. Because little is known about the adaptive immune systems of dromedary camels, new tools are needed to measure T cell and antibody responses for future, longer studies of the vaccine, said Haagman. It will also be important to compare the results of this vaccine with the several others vaccine candidates being tested, Modjarrad noted. Toward understanding how MERS-CoV may evolve in the camel, a confirmed animal reservoir of the virus, researchers at the University of Hong Kong and their colleagues, isolated and sequenced MERS-CoV strains from dromedary camels, identifying five lineages including a recombinant one implicated in human outbreaks in 2015. Their analysis, one of the first to provide direct evidence of camel-to-human MERS-CoV transmission, also appeared today (December 17) in Science. Yi Guan, director of the State Key Laboratory of Emerging Infectious Diseases at the University of Hong Kong, and his colleagues isolated nasal samples from 1,309 dromedary camels in Saudi Arabia. Along with MERS-CoV, the researchers found that the human 229E-like coronavirus was also prevalent within some of the infected camels. “Our study is the first to provide a detailed picture of the evolution of the virus in its direct host, showing clearly the development of the virus in camels and its transmission to humans,” Guan wrote in an email to The Scientist. “The state of the science on this emerging pathogen is still relatively young and there is much to learn about MERS-CoV biology, pathogenesis, and epidemiology,” Modjarrad wrote. B.L. Haagmans et al., “An orthopoxvirus-based vaccine reduces virus excretion after MERS-CoV infection in dromedary camels,” Science, doi:10.1126/science.aad1283, 2015. J.S.M Sabir et al., “Co-circulation of three camel coronavirus species and recombination of MERS-CoVs in Saudi Arabia,” Science, doi:10.1126/science.aac8608, 2015.